Cinema Obscura is a monthly feature at From the Front Row, highlighting little-known films that I believe need a second look. The mission of Cinema Obscura is to bring attention to hidden gems and forgotten masterpieces from around the world that readers may not otherwise have had a chance to discover. 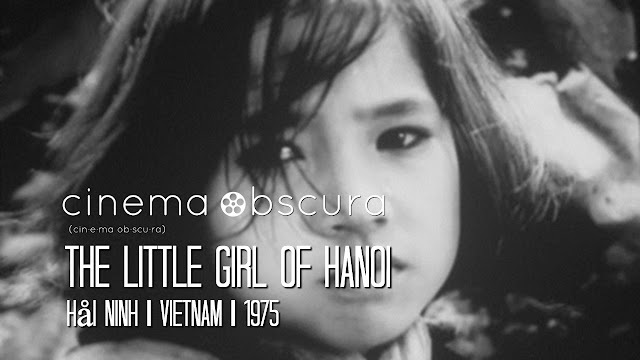 Watching Hải Ninh's 1975 Vietnam war film, The Little Girl of Hanoi, from an American perspective is a somewhat unique and often disquieting experience. Right off the bat, we know that this is not the typical American Vietnam War film, as the opening titles read - "Honoring the heroes of Hanoi who defeated the American imperialist B-52 bombing raid on the capital during 12 historical days and nights, from December 18-25, 1972." Many American films took a decidedly anti-war perspective in regards to Vietnam, especially those of Vietnam veteran Oliver Stone, whose films Platoon and Born on the Fourth of July deflated the myth of American exceptionalism, while exploring the disillusion created by the war from a decidedly American perspective. Yet rarely have American audiences had the opportunity to consider the war from the Vietnamese perspective, especially the perspective of the North Vietnamese, who were the very "enemy" we were fighting against. In The Little Girl of Hanoi, when you hear the words "the enemy," they're talking about Americans. There's something particularly disquieting about realizing the planes the North Vietnamese soldiers are heroically defending their homes from are in fact filled with American soldiers whose families back home would never see them again. But then that begs the question, why do we not feel the same pain for the Vietnamese soldiers when watching American films about the war? It hurts to see the deaths of American GIs cheered as a victory, especially considering that most didn't want to be there in the first place. But one can't help but stop and think that this is how the people of Vietnam must have felt too, as entires families were slaughtered wholesale during American bombing campaigns. 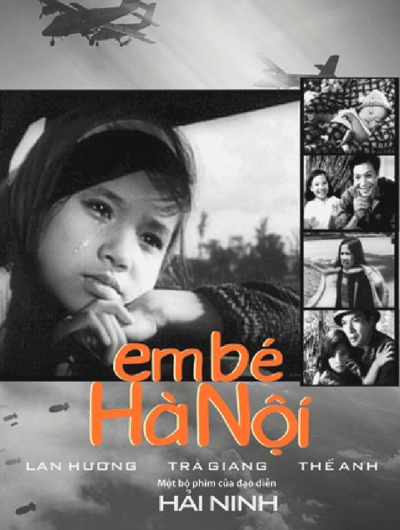 Those bombing campaigns serve as a chilling backdrop for Hải Ninh's film, a haunting tale of a young girl named Ha Ngoc (Lan Huong Nguyen) who is wandering the Vietnamese countryside looking for her father after her mother and sister were killed in the bombing of Hanoi. She is picked up by a kindhearted artilleryman (Thé Anh) who vows to help her find her father, and along the way her heartbreaking story unfolds in flashback. The film is reminiscent of Andrei Tarkovsky's Ivan's Childhood in its portrait of childhood innocence destroyed by war. Ha Ngoc wanders through bombed out homes and schools, her happy memories of life before the way unfolding as flashbacks within flashbacks. It's a vision of Vietnam rarely seen in America, of the human toll of the American war effort and its effects not just on the North Vietnamese army, but on the civilians whose lives were forever changed by a full-scale war happening in their own backyard. The wounds of the Vietnam war were still fresh in 1975 (America withdrew in April of that same year), and it should come as no surprise that the film was never released in American cinemas. We were still several years away from the American cinematic re-consideration of Vietnam, with The Deer Hunter (1978), Coming Home (1978), and Apocalypse Now (1979) showcasing a more grim portrait of the war than had John Wayne's jingoistic propaganda film, The Green Berets (1968), earlier on in the conflict. Make no mistake, The Little Girl of Hanoi is propaganda in its own right, but there's something much more subtle and lyrical about it than even the Soviets, whose style clearly influenced Hải Ninh, were ever able to achieve. At its heart, the film is a deeply humanistic and universal tale of suffering. 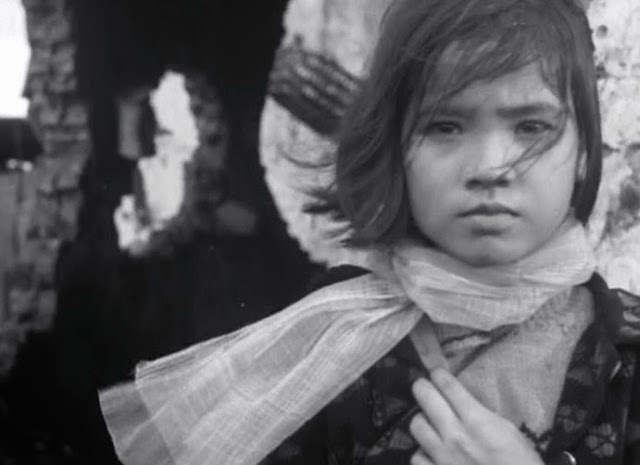 Hải Ninh frames faces like Carl Dreyer in The Passion of Joan of Arc, his camera lingering on Lan Huong Nguyen's tear-streaked visage as she gives one of the most remarkable child performances ever captured on film. By focusing on faces, he creates a link between character and audience; their suffering becomes our suffering, and through their anguished eyes we begin to see ourselves, understanding the depth of their confusion and pain. No matter one's opinion of the Vietnam War (although at this point, I don't know how anyone can think of it as a positive), it's almost impossible not to understand the deep sense of suffering at its core. And even though America is clearly considered the enemy here (which from this perspective, is fair enough), it is a film of deep empathy. It is a tragedy on a staggering scale, of loss of human life for a reason that no one in the film seems to understand. It is a tale of the human cost of American hubris, that offers a fascinating peek behind "enemy lines" from a perspective rarely seen. We might live in a society that still demonizes Jane Fonda as "Hanoi Jane" for visiting North Vietnamese troops during the war, but one can't help but feel that opening our collective eyes to films like The Little Girl of Hanoi might help people understand that there were needless losses on both sides of a terrible conflict that America should never have been a part of in the first place.